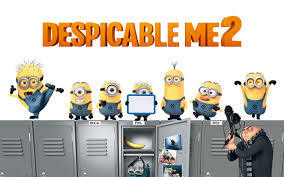 It’s “Despicable me 2!! !” This movie is awesome, and you guys have got to watch it! It teaches you a lot about love for your family,and how working together makes a big difference.”To heads are better than one” Gru, his three little daughters, and his spy partner have a big mystery ahead of them so watch the movie, and see how they solve it!This movie is one of the funnies movies of all times, and the little minions make it even funnier x2! So, if you have not watched this movie, then what are you waiting for get moving now! Have you all watched “Smurfs 2? !” If not, then it should be on you must watch list. 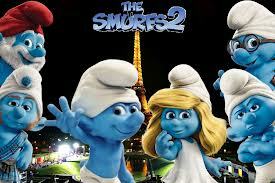 Smurfs 2 is the sequel of “Smurfs”, and it is one of the best movies ever! This movie is mostly about Smurfette, and how she turned bad into good, but obviously, she could not do anything to change Gargamell and Azrell (The Villain and his his cat) because he is like a heat made out of stone, but who knows maybe it will happen soon enough. “Smurfs 2” is an inspiring movie, and teaches you about good friendship, and being a strong family . Two new Smurfs however are added to the the Smurf family, watch the movie, and find out!